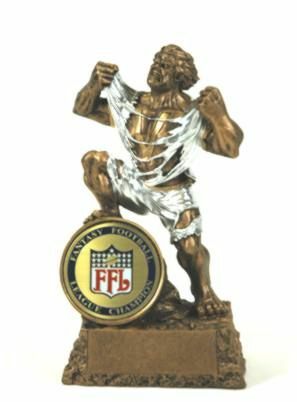 The monster football disc trophy stands 6.5" tall and has silver and gold accents, and the awesome "Fantasy Football League Champion Disc". 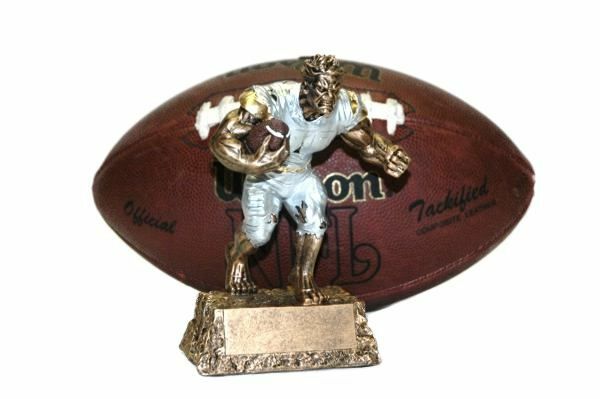 show this trophy in front of a regulation size football for size comparison. 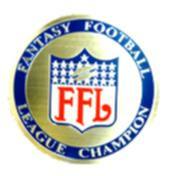 We also offer this trophy on a wood base so you can have more information or a Hall of Champions plate on it. Check out our other trophy listings for the new item.